Equipped with two (2) MAN 1550s, Caught Up ran a top speed of just over 41.5 knots into a 25-knot headwind. 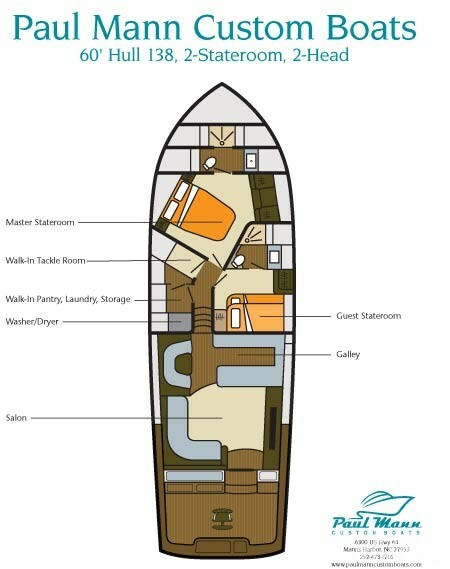 Superb cabinetry and fine woodwork highlight every inch aboard the two-stateroom, two-head design that includes a walk-in pantry and laundry/storage area, along with a separate walk-in tackle closet. All areas are spacious and feature figured teak cabinetry, teak flooring, solid surface and teak countertops, all accented with Euro-style fixtures in the galley and heads. Custom design of the layout and features to the owner’s specifications, along with a rich, luxurious look, first-rate woodwork, and superb functionality, all add up to spectacular living spaces. 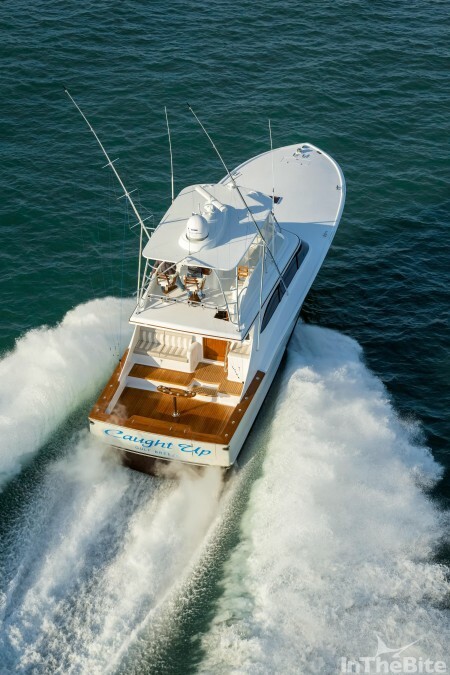 The yacht is highly equipped with the latest electronics, cameras and mechanical components including a Side-Power 240 hydraulic bow thruster and Storm VR2500 hydraulic windlass, Eskimo ice machine, Bluewater automatic water maker, Onan 21.5K generator, 285-gallon water tank, and a 1650-gallon capacity fuel tank. A custom mezzanine housing a freezer and refrigeration allows her to be ready to go fishing for extended periods anywhere in the world. Mann’s multiple-award winning craftsmanship is recognized throughout the marine and woodworking industries. 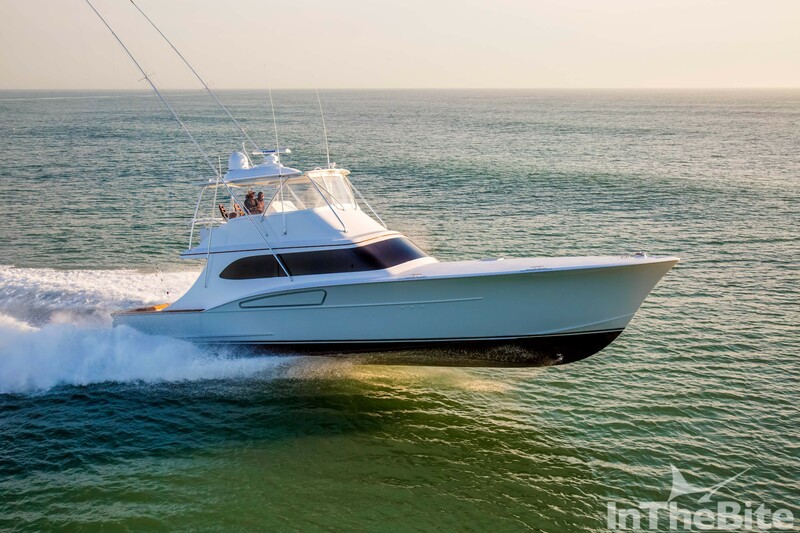 Over its 28 years, the Paul Mann company has evolved from building functional, seakindly and great running boats for the North Carolina coast to becoming a true custom boatbuilding industry leader, creating magnificent fishing yachts that are home-away-from-home anywhere in the world. Every single build provides owners and their crews with superior performance.